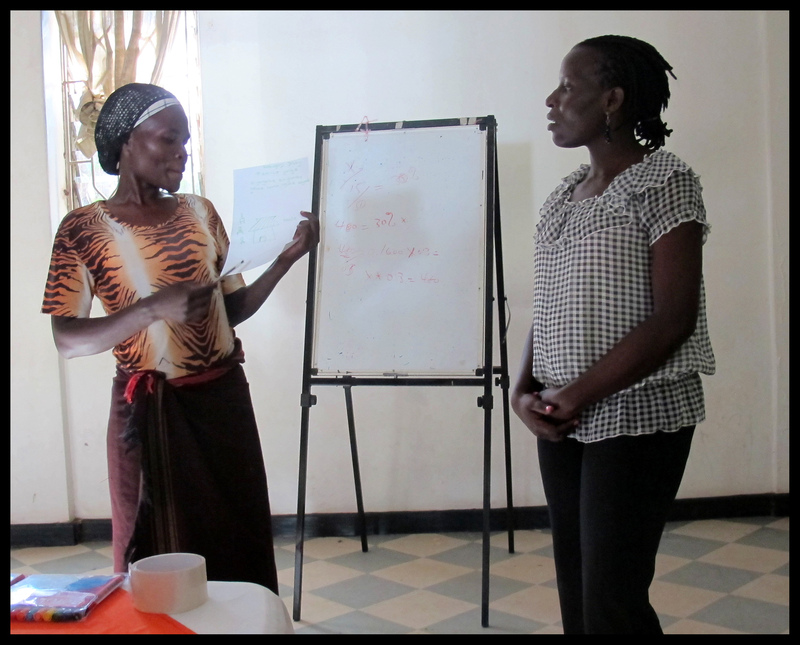 Lois Pollock writes: Over many years, training groups in different parts of Uganda has been vitally important to help kick-start projects. In the process, I have learned many new crafts and skills myself! Chicken farming; savings schemes and micro-finance; building social capacity; developing simple health practices to improve an entire community's health outlook; small business start-up; communication skills. Most recently, my work has focused in three specific areas that encompass quite a lot of the above: savings schemes and small business start-ups; Memory Book and Life Story work. The latter frequently combine with groups who are eager to learn how to begin a successful savings scheme and start small sustainable businesses. The major cost to the Trust in continuing this work is air fares; and local day-to-day living costs. I always live with a local family, eat local food and watch every shilling! Materials can be sourced at low-cost. Results of these trainings are life-changing for many of the groups who have participated.